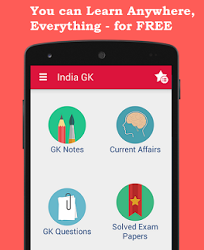 23rd August 2016 Current Affairs MCQs, Quiz, Questions: Current Affairs for August 2016, Daily Multiple Choice Questions (MCQs) for India GK, World GK and current affairs with Collection of daily objective type Question by www.Indiagk.net based on General Knowledge (GK) and General Science (GS) Questions for UPSC, State PSC, SSC, Police exam, Railway exam, SBI, Bank PO, IBPC, SSC, LDC, UDC, Army, Airforce, Navy, Coast Guard, Bank Clerk, TET and all entrance examination with current affairs News, Multiple Choice Questions (MCQs) available on Website www.IndiaGK.net and Android Apps with daily updates:. Which state to carve out 17 new districts in October 2016 ? Who has been bestowed with the Olympic Order award? Which city will host the 2016 Kabaddi World Cup? Which country banned after losing appeal for Rio Paralympics 2016 ? President launches AIR's Maitree Channel can be heard in which country ?